Mark Twain probably wasn’t thinking about his 401(k) when he spoke those words, but it’s still excellent financial advice. When building a retirement nest egg, those who start early have a significant advantage, as demonstrated in a recent report from JP Morgan Asset Management. The folks at JP Morgan calculated the long-term investment results achieved by four theoretical investors, each of whom starts saving at a different time in their career. 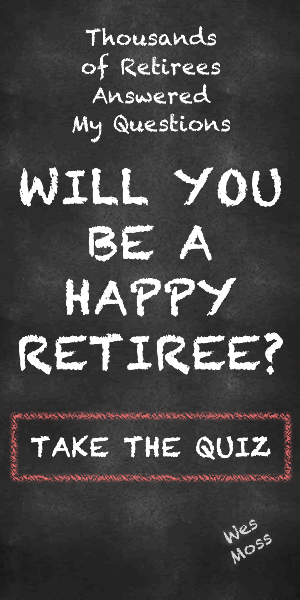 This mental exercise is based on each person investing $10,000 per year at 6.5% annual rate of return. The results are stunning — or sobering — depending on which of these investors most accurately reflects your current situation. Chloe, who invests a total of $400,00 from ages 25 to 65, finishes with $1.9 million in her retirement fund. Lyla, who gets a slow start but invests $300,000 from 35 to 65, ends up with $919,892 — roughly half of Chloe’s take. Quincy, who for some reason saved just $100,000 from 25 to 35, actually nets more than Lyla — $950,588. Noah invests $400,000 from 25 to 65 but decides to play it super-safe, holding cash at 2.25% annual. He retires with just $652,214. These results spotlight the power of long-term compounding, the accelerated growth in value that occurs when the earnings generated by an investment are reinvested and thus produce even more earnings. Time is obviously critical to this process. The longer an investment can simmer on “compound” the fatter it will grow as it feeds on earnings on earning on earnings. This explains the huge gap between Chloe’s and Lyla’s results. Yes, Chloe invested a larger total sum, but more importantly, her money had an extra decade to compound. Long-term compounding also explains how poor Lyla also ended up with a smaller retirement fund than Quincy. Lyla invested three times as much as Quincy, but he got a 10-year/$100,000 head start on compound growth. Can you see why Albert Einstein supposedly called compounding “the eighth wonder of the world? As for Noah, he’s a cautionary tale for investors understandably shaken by the stock market’s wild gyrations in recent years. Despite intermittent slumps and occasional stretches of craziness, the market remains the most consistently reliable way to build wealth over the long-term. There are lower-risk alternatives, but as Noah’s results demonstrate, security comes at the price of paltry returns. Ideally, we should start investing for retirement on the first day of our first job. Chloe had that right. But regardless of where you are in your career, there is still time to harness the power of compounding. Now is the time to start saving at the level necessary to meet your retirement goals. Today is the day to put time on your side.